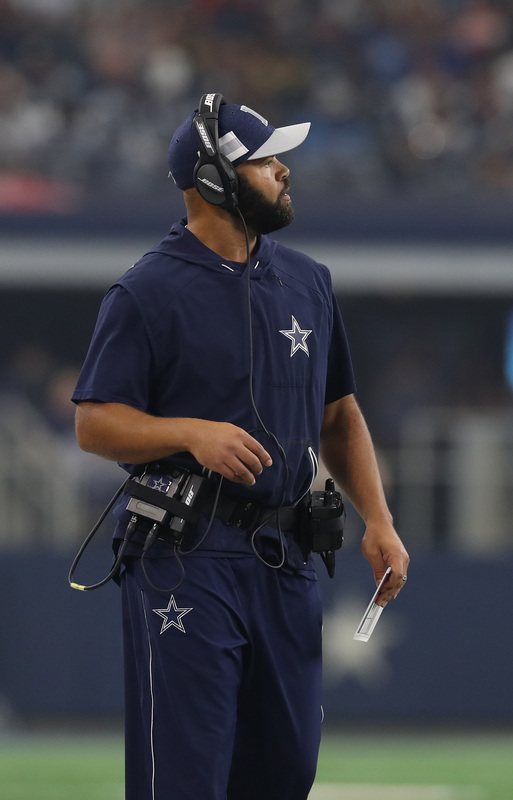 Kris Richard In Lead For Dolphins Job? The Jets don’t have Kris Richard high on their list, but the rival Dolphins might. League sources believe that the Cowboys defensive backs coach will come away with the top job in Miami, according to Alex Marvez of SiriusXM (on Twitter). This is far from definitive word on the matter, but it sounds like Richard at least has a real shot at being the ‘Fins next head coach. For now, he’s in a fairly limited candidate pool that includes Saints defensive coordinator Dennis Allen, Chiefs offensive coordinator Eric Bieniemy, Patriots DC Brian Flores, in-house assistant head coach Darren Rizzi, and possibly Ravens head coach John Harbaugh, assuming that he does not sign an extension with Baltimore. Speaking of Rizzi, his interview is scheduled to take place on Friday, according to Mike Garafolo of NFL.com (on Twitter). So, barring something unexpected, we won’t see the Dolphins hire Richard or anyone else before the end of the week. Jerry, do what you have to do, and do it quick. agreed. this is one guy they should keep around/groom as eventually taking garrett’s spot. I’m sure he’ll offer an exorbitant pay raise and a shiny new title, but ultimately if he wants to be a head coach in this league, there’s only so much Jerry can do to keep him. That is, of course, unless they fire Garrett, but I don’t think that’s likely barring a totally embarrassing postseason performance.